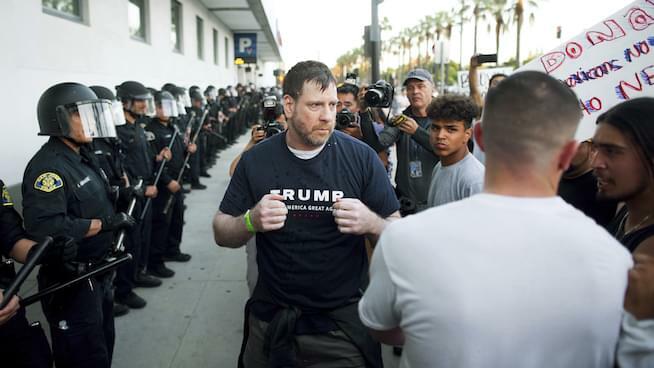 In a small victory for victims of violence at a 2016 San Jose Trump rally, a judge in Sacramento ruled Friday their lawsuit against the city accusing its police of purposely putting the president’s supporters in danger was valid and may proceed. The 19 plaintiffs allege law enforcement officials knowingly directed attendees into a waiting mob of several hundred protestors, despite access to a safer path, and proceeded to standby when attacks erupted. The hazardous journey, captured on film, consisted of egg pelting, bags of rocks and sucker punches. Listen to their full conversation below!